As one of the headline sponsors of the Arctic Challenge which our directors Gerry and Stephen completed on 4th March 2015, Louie Brown’s in Dalgety Bay was the stunning venue for the official welcome home party for the pair in the form of a thrilling Team Challenge Company Race Night. Along with the ladies from Mums on the Run Relay Team, our own team hosted a spectacular evening entertainment for guests in order to get closer to the £10,000 fundraising target that Gerry and Stephen set themselves. As doors opened guests witnesses the transformation of the deli into our very own horse racing hub. The Mums on the Run team were on hand to welcome guests with a sponsorship pack and details of all of the races to come, as well as the incredible raffle prizes and auction items available. When everyone was seated – or standing comfortably - formal introductions were then made by Mums on the Run 2015 Team Captain Polly. Polly presented Gerry and Stephen each with a personalised box of goodies to thank them for their contributions before asking Marc from the Dalgety Bay Relay for Life to say a few words. Marc was full of thanks for the Mums and also their honorary team members Gerry and Stephen for completing such an inspirational challenge and raising so much money. Marc too had something special for Gerry and Stephen in the form of a bottle of whiskey and engraved glass which was gratefully, if bashfully, accepted. Our first charity challenge was the ‘Hole in One’ which saw people get very competitive as they tried to land their ball in the hole. After many attempts we managed to end with 16 finalists who returned to battle it out for the chance to win a Go Ape Voucher. In the end we whittled it down to a face-off between Josephine and our very own Trudie Reid and the years of practise must have paid off as Trudie managed to pip Josephine to the post! The first race saw Elliot of Total Joinery, one of the race sponsors, take home a bottle of whiskey as his horse ‘Marvel’ romped home to the finish line to shouts and cheers of excitement. The bookies were incredibly busy as they paid out lots of money to all of the winners, success that continued throughout the remaining six races! The final race of the night was our auction race giving guests a final chance to purchase a horse for a chance to win 6 tickets to the Dalgety Bay Push Kart Derby in July, a prize worth £150! In the end the winners were Carl and Marc and after purchasing 4 horses between them they certainly deserved the win so a huge well done to them! Before some much needed dinner courtesy of Louie Brown’s, it was time to thank the other sponsor of the evening MediaCom Edinburgh for all of their support before turning our attention to the raffle winners! With wonderful prizes including Dinner for 2 at the Glasgow Hilton, Afternoon Tea for 2 at Ardoe House Hotel and a Family Pass for Deep Sea World, there were lots of happy winners in the room. Thank you to everyone who supported the night by donating such wonderful prizes including those that went up for auction. Our first item under the hammer was a Shark Diving Experience courtesy of Deep Sea World and bought by Elliot. The next item was 2 tickets to the Scottish Cup Final which were purchased by our very own Robie and Lee (whether their girlfriends like it or not!). Finally it was Kieran from Louie Brown’s that purchased the final item of the night, a signed Ireland Football Shirt! A bowl of curry was then in order as we said a final thank you to everyone who came along and supported the Mums on the Run team in their ongoing fundraising efforts. During the team building event, we managed to make a total of £3,500 meaning that the £10,000 target is in sight! Hopefully the target will be reached in May as Jamie takes up the baton for the team running the Edinburgh Marathon in order to raise even more funds. Good luck to Jamie with his training and the marathon itself. We will be sure to keep you updated on his progress! Was a great night and what a fantastic amount raised! Team Challenge Company really know how to keep people entertained and area all so enthusiastic in what they do!! Keep up the good work!! It was a FANTASTIC night, thanks so much to everyone who came, and to all the people who supported the event. The Team Challenge Company did an amazing job (as always), and of course we are SO very proud of Ger and Stephen for completing the Arctic Challenge! What a great night! Extremely strange being at the other side of an event but got to say I loved it! Cant believe i won the Go Ape voucher for hole in one as I am usually rubbish must have been the wine helping me along! Thanks guys for a great night, me and Erin can not wait to go to Go Ape! It was a great night hosted by a great company. 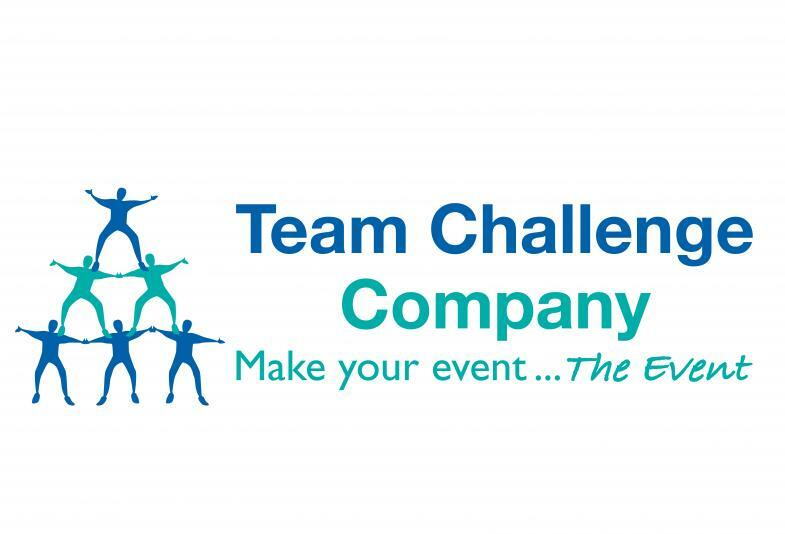 Thank you so much to Team Challenge for their continued support and rallying the troops on Saturday night. We raised an awesome amount of money so thank you to those who came and spent money on the totes, those who bought raffle tickets and those who donated raffle prizes as well as the effort of the Mums on the Run team. Splendid effort by all and it was great fun at the same time! Wow! £3,500 is an incredible amount of money and a wonderful way to welcome Gerry and Stephen home from their epic challenge. Well done to all of the winners, it was great to share such a fun night.